TORONTO, Jul. 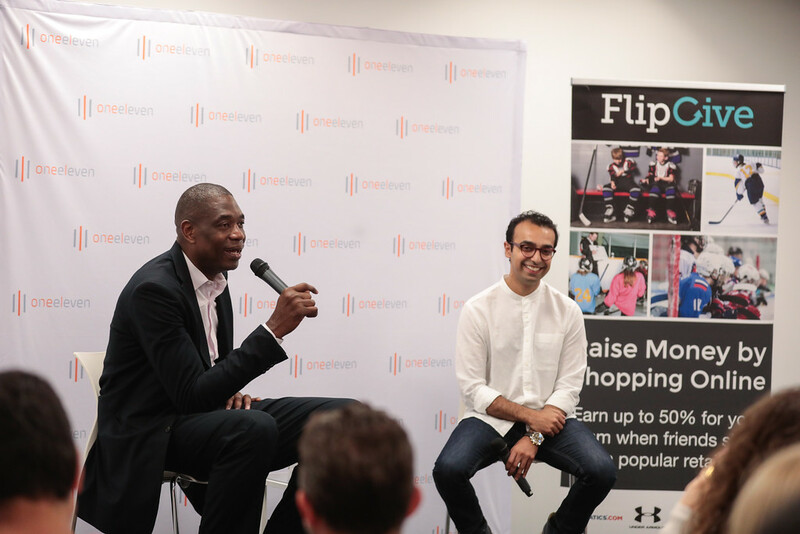 12 /CSRwire/ - FlipGive, a cash-back site for teams that facilitates fundraising through online shopping, today announced that basketball legend and 8-time NBA All-Star, Dikembe Mutombo, joins the company as a major shareholder and Global Ambassador. Together, FlipGive and Mutombo will target insufficient funding in youth sports by using FlipGive’s online shopping platform to provide alternative ways to raise funds. Through FlipGive.com, teams, athletes and supporters can raise funds by shopping online at more than 500 retail partners, including Amazon, Nike and Under Armour, and receive a portion of their purchase returned in cash - in many cases up to 25% of the purchase amount. Funding youth sports is a major stress point for families. A recent survey conducted on FlipGive reported that 47% of parents allocate 10-25% of their household budgets to fund participation in sports. That’s a hefty allowance and comes at the expense of other categories including entertainment, travel, groceries, clothing and future savings. To help alleviate the pressure, 93% of sports parents participated in fundraising activities and 26% of families polled had to opt their children out of sports altogether. “Extra shifts, second jobs, foregoing groceries, selling family possessions - these are the lengths parents go to give their kids access to a sport they love” said Mark Bachman, Co-Founder and CEO, FlipGive. “It’s important to me and my team that we broaden the exposure and access to sport to those who might not otherwise have a chance to play”. FlipGive and Mutombo’s goal is to help raise $100 million for youth sports over the next five years. Since its launch in 2014, FlipGive has already helped raise nearly $10 million for groups and teams. “It is with great excitement that we welcome Dikembe on board as a partner and FlipGive’s first-ever Global Ambassador. Dikembe is a tireless champion of youth sports and we are honoured to be his partner when it comes to keeping kids in the game and playing the sports that they love,” said Bachman. Mutombo is a noted humanitarian and lifelong supporter of youth sports. He is known worldwide for his work with young athletes through various international programs, including the the Junior NBA, United Nations Development Programme, Special Olympics, SportsUnited and Basketball Without Borders. Mutombo is also the Founder and President of the Dikembe Mutombo Foundation, whose mission is to improve the health, education and quality of life for the people of the Democratic Republic of the Congo. FlipGive is a cash-back site for teams that combines the convenience of online shopping with the best of online fundraising, making it easier for groups to raise money. Teams using FlipGive earn up to 25% cash back their sports team, league for school simply by shopping with retail partners. It’s a fast, easy and free way to support participation in sports. To start your fundraising campaign visit flipgive.com.